S Nambi Narayanan, a mechanical engineer with a masters in chemical rocket propulsion from the Department of Aerospace & Mechanical Sciences at the Princeton University, was among the pioneers in Indian space science. After joining the space mission as a Technical Assistant (Design) in 1966, he led a team of Indian scientists to France in the 1970s to jointly develop the Vikas-Viking engine with the French. He was the Project Director for the second and fourth stages of the SLV, when he also served as the Deputy Director of the Liquid Propulsion Systems Centre at Thiruvananthapuram. He was the first Project Director for Cryogenic Propulsion Systems in the early 1990s. He retired as Director, Advanced Technology and Planning, ISRO, in 2001. Now living in Thiruvananthapuram with his wife, he has a son and a daughter. 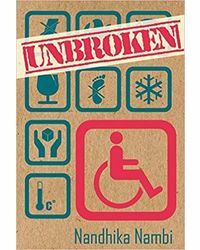 Journalist Arun Ram has covered an array of beats including politics, and science and technology, with several pieces of investigative journalism to his credit. 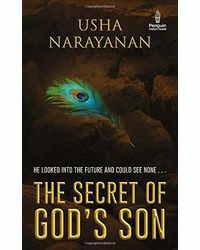 The ISRO spy case was one of the first major stories he covered as an intern in his home town of Thiruvananthapuram in 1994. Twenty-three years later, ISRO remains his pet subject. A British Chevening scholar in print journalism, he is the 2004 winner of the Sarojini Naidu Award for best reporting on Women in Panchayati Raj. At present, he is the Resident Editor of The Times of India in Chennai, where he lives with his wife and son. About the Book : A top scientist is falsely accused of selling space technology secrets. A police inspector's misadventure with a Maldivian woman results in a fabricated espionage case. A faction within a political party capitalises on the case to bring down a government. An intelligence agency obligingly plays into the hands of vested interests to slow down India's space programme. And a complex investigation finally proves the allegations untrue. 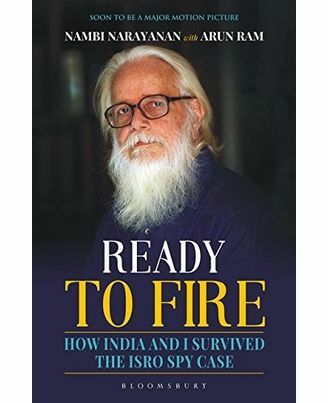 In this riveting book, Isro scientist S Nambi Narayanan - who was falsely accused of espionage in ISRO spy case of the 1990s - and senior journalist Arun Ram meticulously unpick the ISRO spy case, revisit old material and discover new details to expose the international plot that delayed India's development of a cryogenic engine by at least a decade. It took four years for the CBI to exonerate Nambi, but his fight for justice to ensure action against the officers who faked the case and tortured him in custody continues. 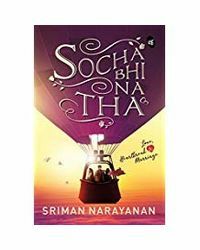 This book is as much a history of the early days of India's ambitious space programme as it is a record of one of the most sensational cases that enthralled the nation long before the era of online updates and 24-hour news cycles.About the Author : S Nambi Narayanan, a mechanical engineer with a masters in chemical rocket propulsion from the Department of Aerospace & Mechanical Sciences at the Princeton University, was among the pioneers in Indian space science. After joining the space mission as a Technical Assistant (Design) in 1966, he led a team of Indian scientists to France in the 1970s to jointly develop the Vikas-Viking engine with the French. He was the Project Director for the second and fourth stages of the SLV, when he also served as the Deputy Director of the Liquid Propulsion Systems Centre at Thiruvananthapuram. He was the first Project Director for Cryogenic Propulsion Systems in the early 1990s. He retired as Director, Advanced Technology and Planning, ISRO, in 2001. Now living in Thiruvananthapuram with his wife, he has a son and a daughter. Journalist Arun Ram has covered an array of beats including politics, and science and technology, with several pieces of investigative journalism to his credit. The ISRO spy case was one of the first major stories he covered as an intern in his home town of Thiruvananthapuram in 1994. Twenty-three years later, ISRO remains his pet subject. A British Chevening scholar in print journalism, he is the 2004 winner of the Sarojini Naidu Award for best reporting on Women in Panchayati Raj. At present, he is the Resident Editor of The Times of India in Chennai, where he lives with his wife and son.